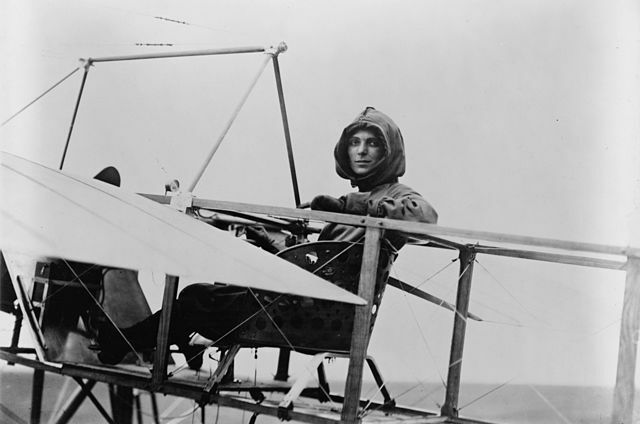 The Wright Brothers didn’t teach women, and so Harriet Quimby went to the Moisant School of Aviation. KILL DEVIL HILLS, N.C. — Way back in 1903, just a short walk from here, Orville Wright made history when he flew the remarkable little plane he and brother Wilbur had designed in Ohio. The flight lasted 12 seconds. Sixty-six years later, man would land on the moon. Everyone knows the Wright brothers’ names. Finding stories about them isn’t difficult, and I encourage you to do that if you’re very interested in the early history of flying. But I’m going to tell you a different little story, that of a Michigan farm girl turned New York journalist, Harriet Quimby. 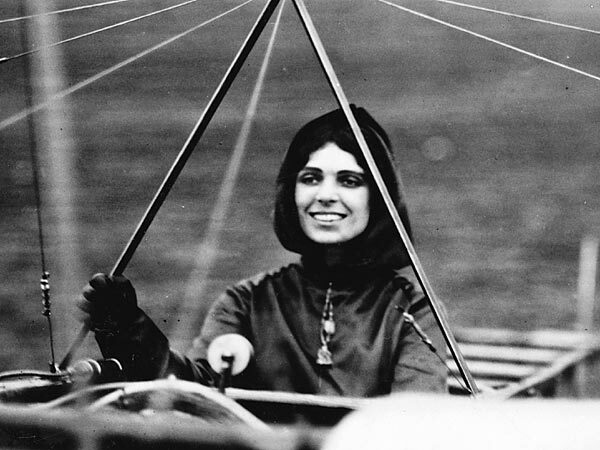 Harriet Quimby was a daredevil who raced cars as well as flying planes. Quimby left her family’s failing farm first for San Francisco, then New York, and while she harboured a great love for the stage, it was words she fell into, becoming one of the world’s first female scriptwriters, but also writing, editing and taking award-winning photos for Leslie’s Illustrated Weekly. According to the museum at the Wright Brothers’ memorial, she acquired her pilot’s licence in secret. But your average journalist is not going to keep quiet about such a thing, and Quimby was so much more than your average journalist. 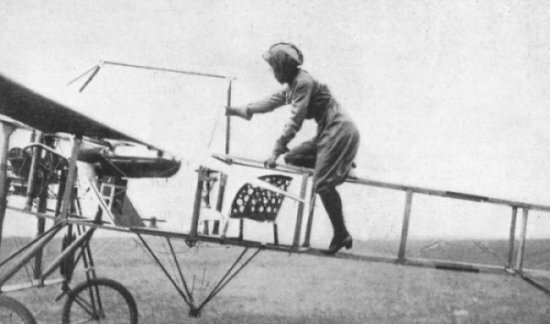 Harriet Quimbly climbs into her Moisant monoplane, wearing her trademark satin flying suit. She landed after an hour on a beach full of fishermen who, she said, cheered and congratulated themselves that the first woman to cross the Channel had landed in their back yard. It would have made a great story but for the timing—all journalistic resources were busy with the sinking a day earlier of the Titanic. Careful she was. She advocated for safety and for the wearing of seat belts in aircraft. However, 11 months into her aviation career, during an exhibition flight, her plane jerked and she was thrown from it, falling to her death in front of hundreds of spectators. It was, perhaps, the theatrical death she might have wished for.